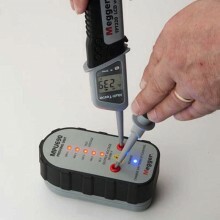 Includes: 6 x 1.5V AA alkaline batteries, PD690 Instructions. 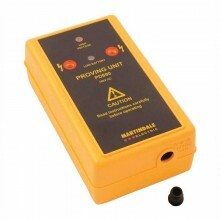 This device is designed for indicators with 230V and 415/440V AC detection ranges, such as the Martindale VI13800. 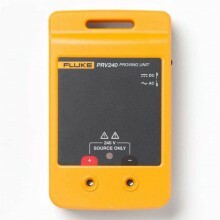 The proving unit is one of the few designs to check indicators with ranges above 250V. 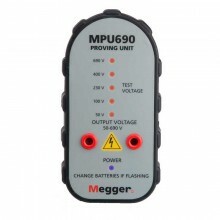 There is now a facility to power the PD690 proving devices with the addition of a 12V DC power connection point. 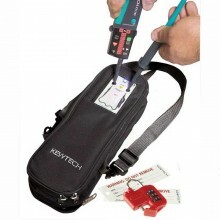 The units can be powered by either alkaline batteries or a 12V power supply. 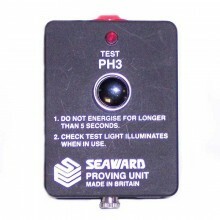 There are two power supply units available for the proving devices, the PSUPD230 and the PSUHPAT12. 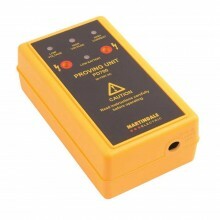 The PSUPD230 can be connected to mains power and the PSUHPAT12 is a 12v power supply suitable for use in a car/van cigarette lighter. 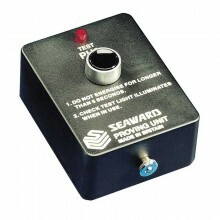 The Martindale PD690 can also check Drummond and other filament test lamps as its output is sufficient to illuminate the bulb. 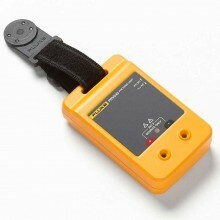 This model is not designed for use with multimeters. 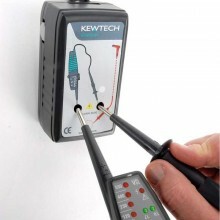 Safely and simply proves the operation of voltage indicators and test lamps. 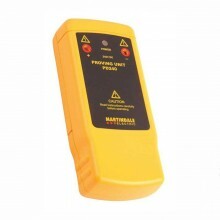 Essential for implementing effective safe isolation procedures. 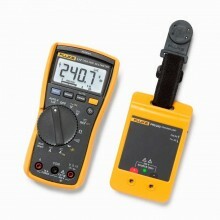 700V industry leading proving unit for all low and high impedance testers. Long battery life time with low battery indicator. 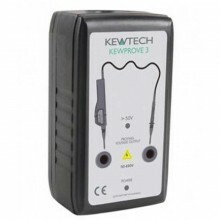 Optional in-car & mains power supplies available. 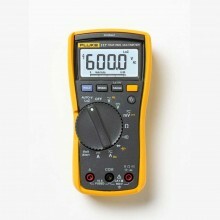 Output Voltage 700 V nominal. Operating Temperature -10° C to +40° C at max 70% RH. 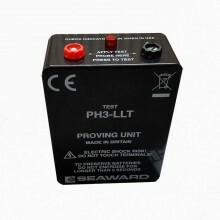 Battery 6 x LRC/MN1500 1.5 V alkaline batteries or equivalent. Dimensions 143 x 84 x 50 mm. 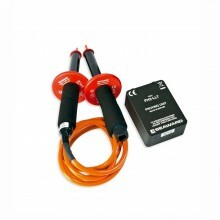 Weight 400g approx including battery. 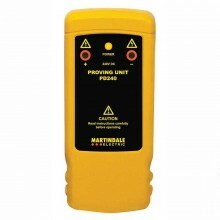 Martindale PD690 warranty 2 years. 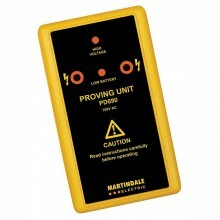 PDF Specifications of the PD430, PD440, PD690 & PD700 Proving Devices.